Have a question about the Trident Mini Fin Key Ring? 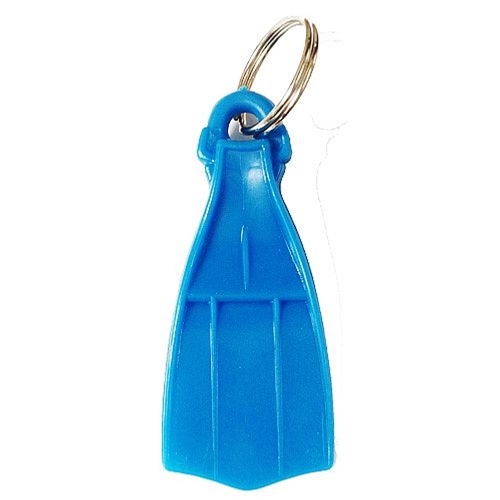 Key Ring shaped as a mini-fin. Comes in assorted colors. from North Carolina Assorted colors, hmmm. I bought three. All were yellow. But, I like them otherwise. Is what it is, exactly as pictured. Had one in yellow long ago but after time it became discolored probably due to my keys rubbing up against it. Time will tell if the same happens to this one. I love these little key chains and they fins look just like  my scuba diving fins, that is why I bought it. Thanks!! on 2/6/2017 What colors are available for the Mini Fin Key Ring? The website shows a "blue" mini fin and the selection drop-down only says "assorted colors", but gives no option for selecting a specific color... I need about 6 fins and want separate colors... Thank you.